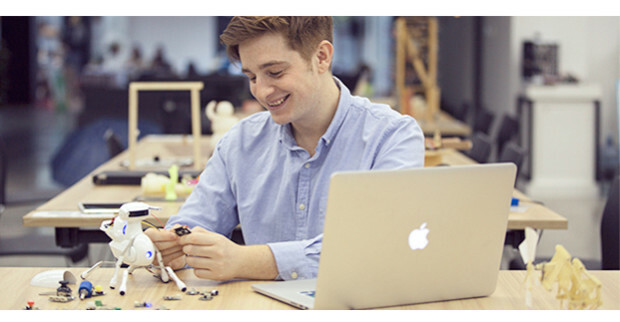 Antbo is an affordable, easy to assemble and fun to explore robot. 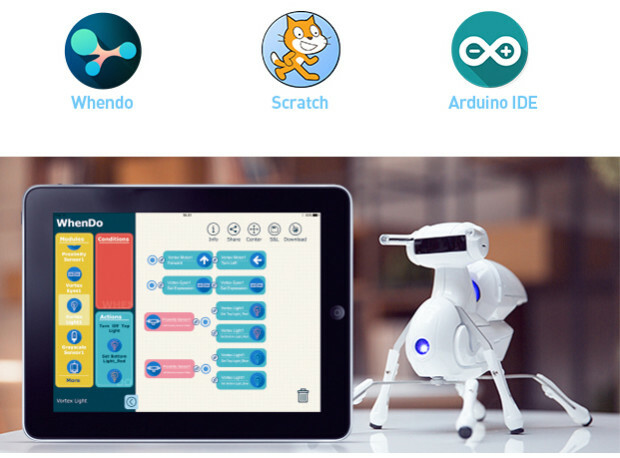 Antbo takes less than an hour to assemble and will teach you the basic principles of robotics and coding. 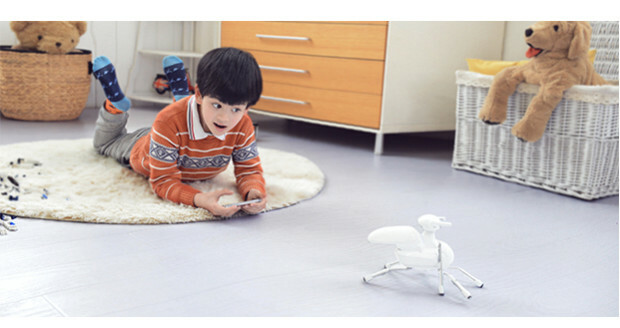 Antbo is a fun robot designed for children and young adults alike, educators and parents interested in STEAM education. Antbo can teach children and teenagers how to code. He is a great starting point for young inventors and people interested in STEAM education (science, technology, engineering, arts and mathematics). Even if you are not interested in these things, he is still a cool robot companion that you will have fun with! 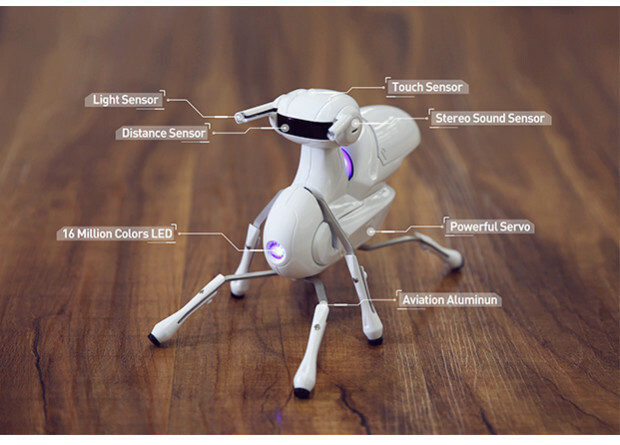 Once he is assembled you can control Antbo using your smartphone, your own voice, or try "path control mode" where Antbo will follow the path you give him when you draw it on your Antbo app ( iOS & Android ). 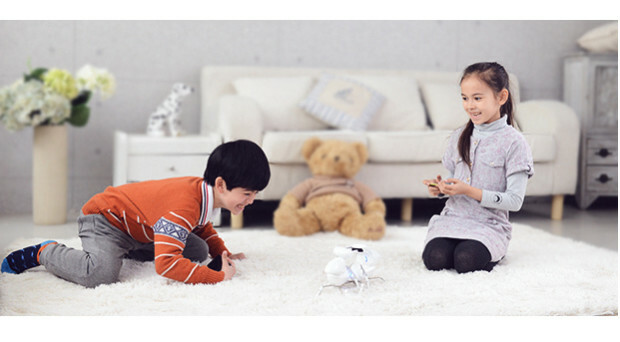 Creating your own robot with Antbo kit, to provide a fun and intuitive experience to master basic robotic knowledge. 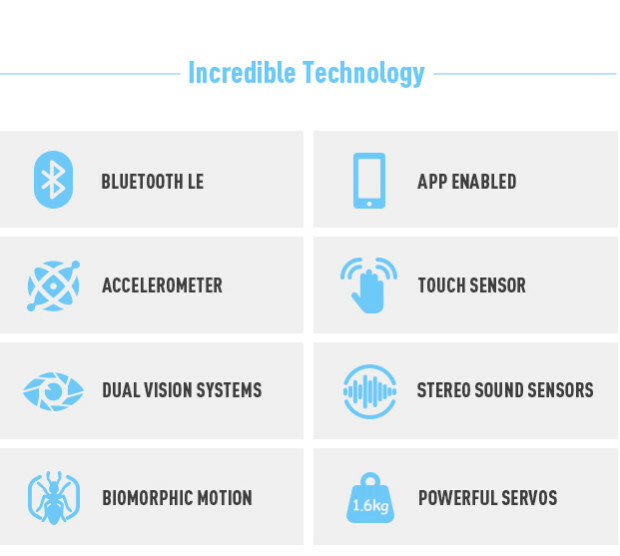 Control Antbo with your smartphone and make him do amazing things! 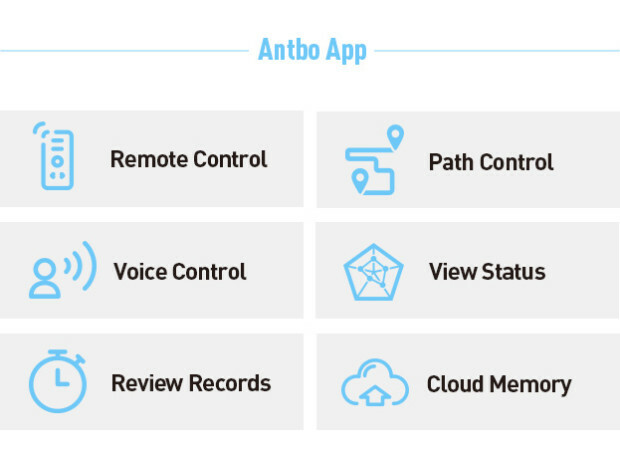 Control Antbo using your smartphone as a remote control, or try "path control mode". If you have more than one Antbo you can make them race each other or even fight! Refit Antbo with extra modules and give him extra functions! Antbo can perceive and explore his surrounding environment by using his neuronic system to think and react to stimulus. Antbo can play golf using path control mode. Get your friends over to play some robot golf! Antbo is programmable. He can enhances your programming mind. 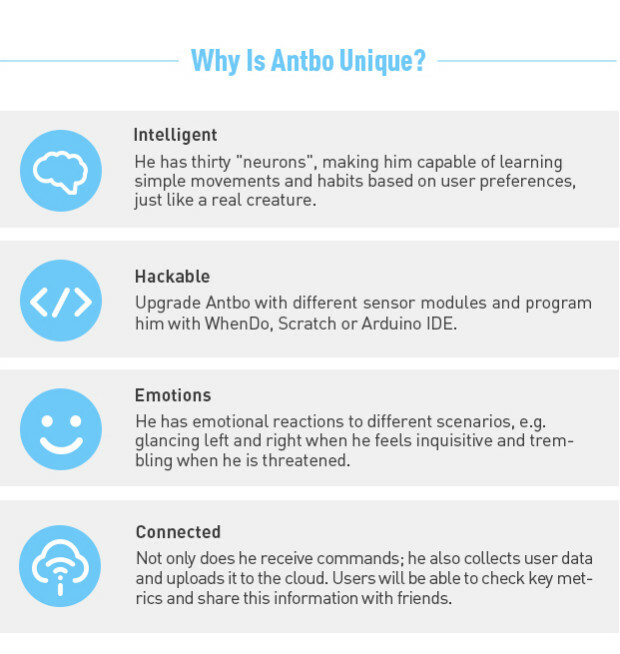 Use a range of programming platforms to hack Antbo and make him truly unique! 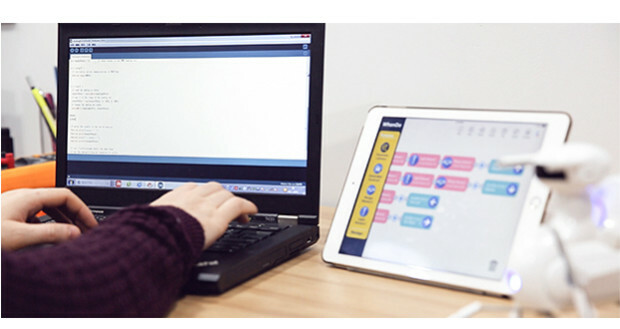 DFRobot’s own visual programming iPad app that teaches people to code with user-friendly code blocks. Upload code to Antbo via Bluetooth; no messy wires needed! 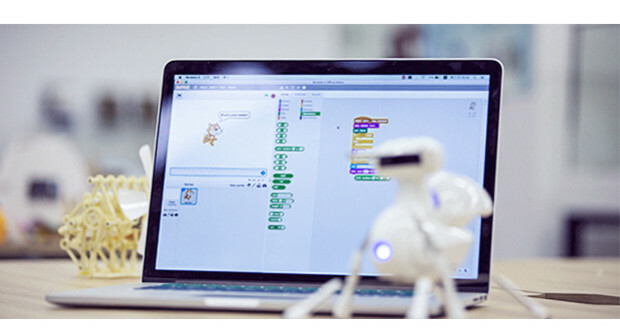 Scratch is a free visual programming language used by students, scholars, teachers, and parents to provide a stepping stone to the more advanced world of computer programming. The open-source Arduino IDE makes it easy to write code and upload it to Antbo. Based on Processing and other open-source software. Program Antbo to search for a target and when he finds it he will knock it down! Get some fun with Lego or other toys as targets! Antbo has limitless creative potential. Expanding sensor modules, role playing, and creating obstacle, puzzles and maze running games. Antbo is clever! He can use his sensors to find his way through even the most complicated maze! Paint your own patterns on Antbo’s shell and make him your own. 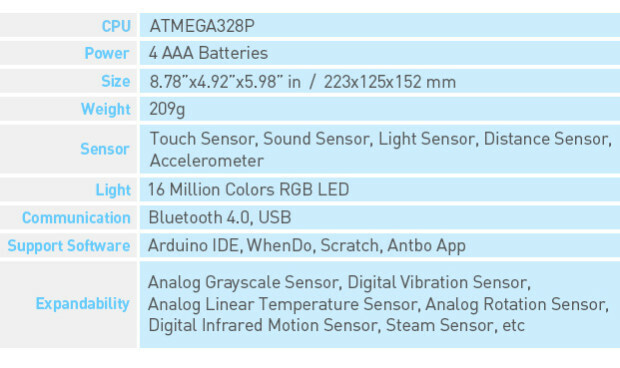 Upgrade Antbo with different sensor modules and program him with WhenDo, Scratch or Arduino IDE. If you add a temperature sensor expansion to Antbo he will sense changes in ambient temperature. He will warn you when the temperature is too high for him and try to find somewhere cooler! From now until the end of our campaign, refer five friends and get an Antbo Super Kit ($69 value) for FREE! 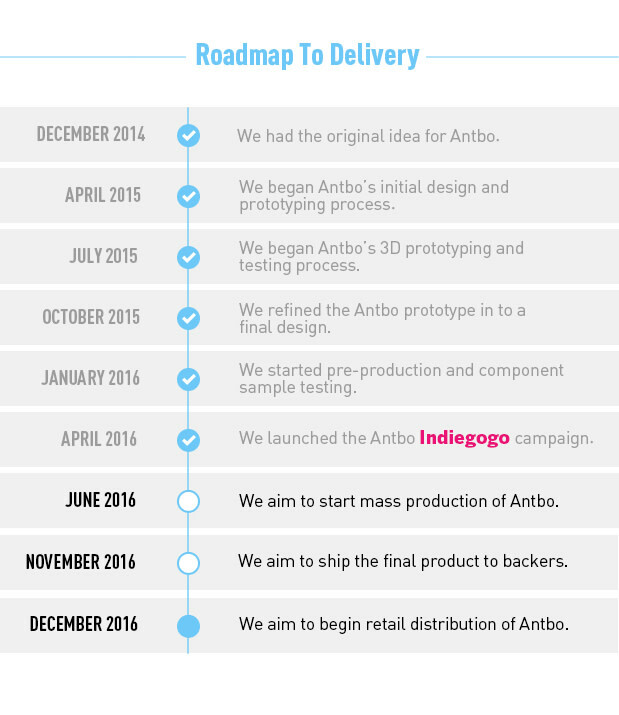 It’s simple: For every five friends who contribute at any perk level, we will send you an Antbo Super Kit. 2. Click on the sharing buttons near the top of our campaign page via social media or email. These will automatically share your unique link. 3. When at least 5 people click on your link and contribute to our campaign at any level, you get an Antbo FREE! 4. Track your referrals by visiting your profile page and selecting the Referrals tab. * program is only open to funders who have pre-order at least one Antbo. 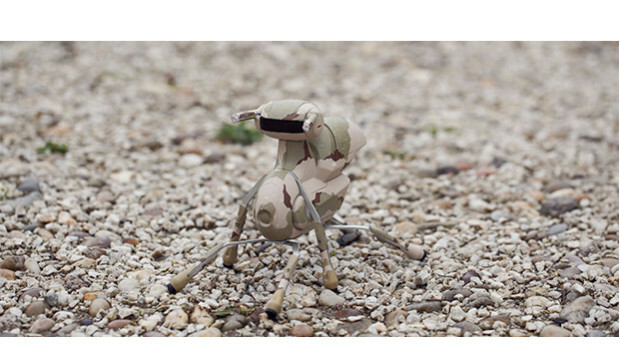 An educational, easy-to-assemble robot anyone can adopt. Get your Antbo today!